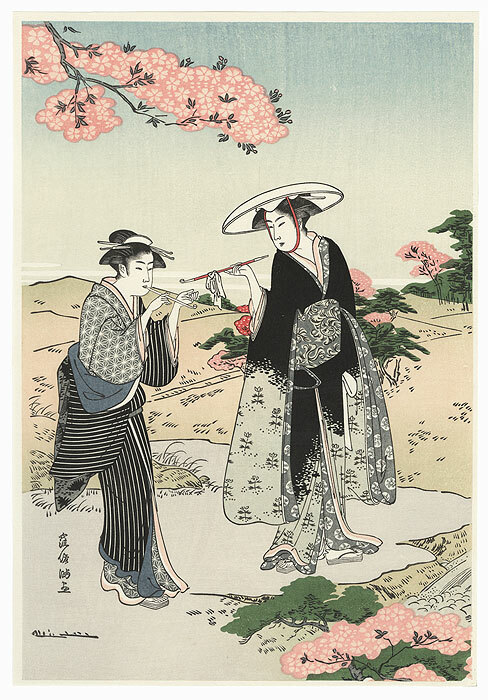 Comments - Lovely design of two beauties on a stroll through the countryside, pausing for a rest under a blossoming cherry tree. 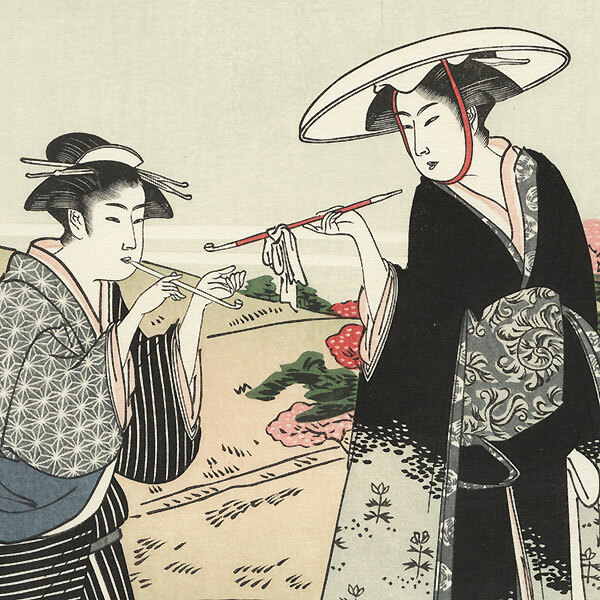 Both women relax with a pipe as a small stream rushes across the lower right. 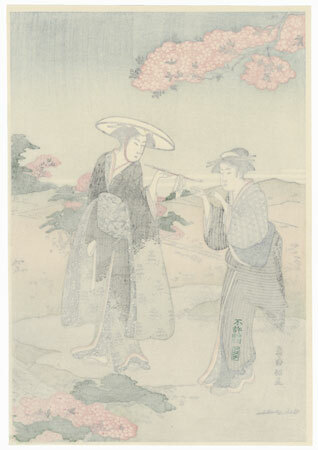 A lovely spring scene with fine detail and delicate shading in the cherry blossoms.